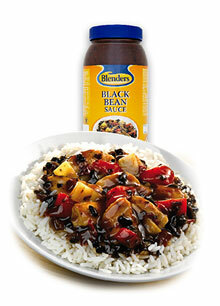 A distinctive Chinese sauce with lots of black beans, red peppers, soy sauce and toasted sesame oil. A real flavour of black beans with a subtle background flavour that develops on your palate. Available in 2.2L (2.35Kg) pack size. Do not use if original seal is broken. Store at ambient or chilled temperature. Refrigerate after opening and use within 14 days or freeze.